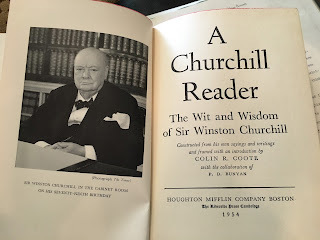 When we were in the process of cleaning out Mom's apartment, I found a book of Churchill quotes on a shelf in one of the closets. 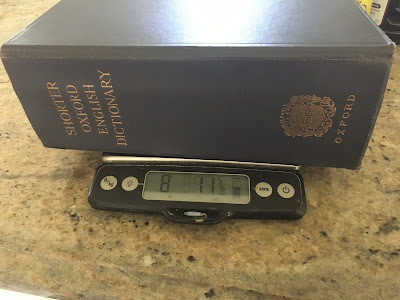 I took it home, because I'm a huge fan of Churchill's oratory and writing, and still remember watching Sink the Bismarck! with Dad. My father did a mean Churchill imitation. This family bred love of Churchill shows up in my upcoming Scholastic YA novel, IN CASE YOU MISSED IT. 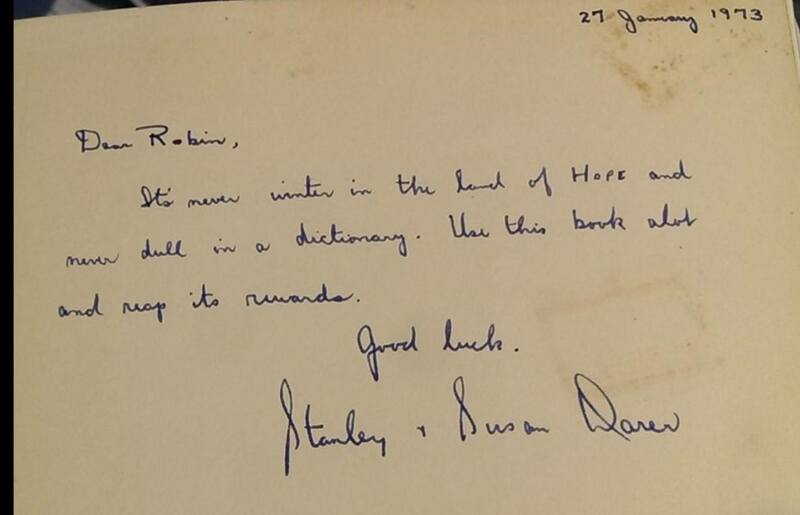 Inside the flyleaf of the book was a poem, dated 12.4.1955 To Murray Silverstone, my grandfather. It was clearly written by someone very educated and erudite, but the only clue as to who this person was were his or her initials, H.H.B. I have been fascinated by this person, and asked relatives who were old enough to have some idea who H.H.B might be if they could give me clues as to the identity, but to no avail. 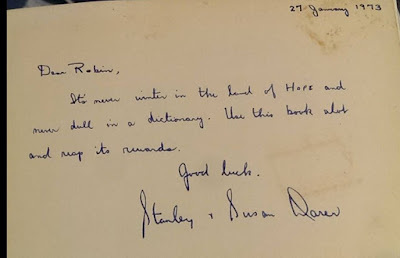 Solving this mystery has been on my back burner to do list, because I had to know: Who was this person who could write so beautifully and who shared my love of Winston Churchill's words? Yesterday morning, my brother and sister and I spent a few hours at the storage unit where we'd moved the stuff we didn't have the time or emotional energy to deal with when cleaning out Mom's apartment. I took a box of archive material relating to my grandfather for us all to go through with my cousin Paul, who is our family historian, and about an hour ago I just opened it to see what was in it. 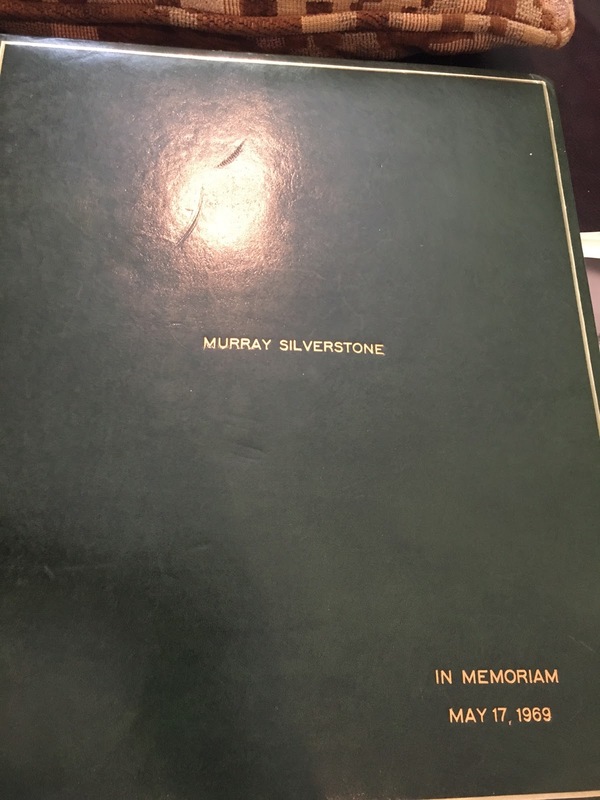 On top was an album of condolence letters from when Grandpa Murray passed away in May 1969. I was looking through it and all of a sudden my mouth went dry with excitement - because there was a letter from Harold Hotchkiss Bennett - H.H.B.!!! The writing style is similar, so I'm sure it must be the same person. I was afraid I'd never learn H.H.B's identity - but I'm pretty sure I can now say: MYSTERY SOLVED!! Trying to learn a bit more about Mr Bennett. He graduated from Harvard, Class of 1904. He wrote the text for a book of the illustrated postcards of Portsmouth New Hampshire. That's about it so far. I wish I knew more. He seems like an interesting guy.